This week's bike chooser brings to you the best budget naked middleweights that money can buy. 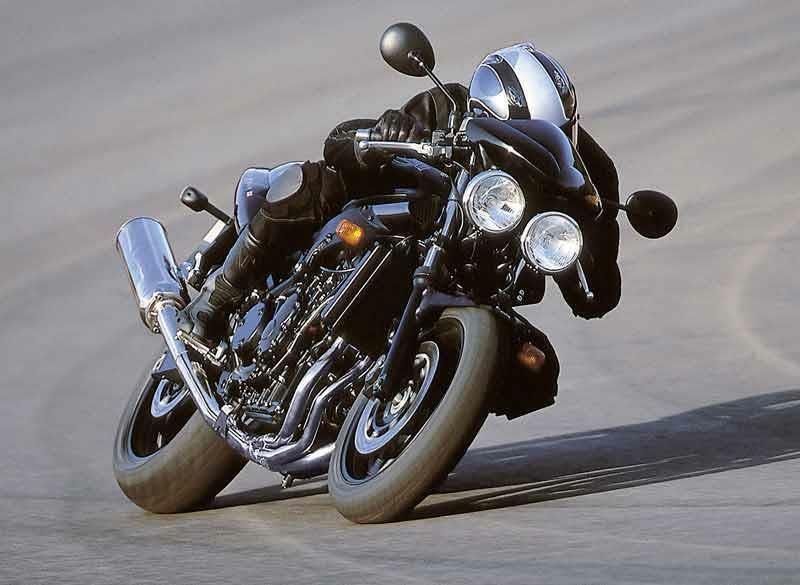 Anyone remember Triumph’s first middleweight naked? Probably not, which is why the Speed Four is a bit of a hidden gem of the second hand world and can easily be snapped up around the £2000 mark. The TT600 was never the best looking of bikes and when they created the Speed Four Triumph failed to make the naked bike look very appealing. The twin ‘rocket launcher’ air-scoops are comical while the choice of colour schemes also left something to be desired. And then there was the fuel-injection. Although marginally better than that on the TT600, the sportsbike’s reputation for poor fuelling soon tarnished the Speed Four and it wasn’t long before the naked bike was dropped from Triumph’s range. A sad loss or a case of putting the bike out of its misery? Get past the look and the slightly suspect injection system and the Speed Four is a great handling machine that can really party on twisty roads. The chassis is the same as the hugely underrated TT600, which means you get proper sportsbike handling in naked guise. The riding position is a touch cramped and the clip-on handlebars do nothing to aid comfort, however this is a bike that will leave you giggling as you rev the inline four engine and explore its surprisingly sporty side. It may not be the best looking of bikes, but what it lacks in style the Speed Four certainly makes up for in entertainment. To insure a Speed Four, you will be looking at the following based on a fully comprehensive policy with 3 years NCB. For around £2,500 (or less if it is a bit tatty) you can get Suzuki’s mini-B-King. The GSR isn’t a bad bike but is let down by budget suspension and a gutless engine. Styling is a mute point – you will either love it or think it is horribly tacky – however prices are pretty low considering the age of the bike. All quotes have been generated by MCNcompare.com and correct as of 7th June 2013. Need to renew your insurance? Compare 43 brands in one place today and get a free mag just for getting a quote.